When you think about the great cities across the country, it is always the big ones that spring to mind. While the streets of London may be paved with gold and Liverpool may have been European Capital of Culture, there is one UK city that has overtaken them all to be in the top ten cities to visit in the world in 2015. Salisbury may be thought as somewhere to stop for lunch after visiting Stonehenge but it is so much more than that. Historically, it is one of the most important places in the country and probably the best city in the UK for a tourist to visit. In 2015 the Magna Carta will be 800 years old and Salisbury is preparing to give it a grand birthday party. One of only four surviving copies can be found in the city and it is one of the most important documents in English history. The Magna Carta formed the basis of our country’s law for centuries and was signed by King John at the behest of barons around the land. It may not be at the top of most people’s bucket lists but Salisbury does boast a mechanical clock from the middle ages that dates from 1386, which is housed in the 13th century cathedral. It has been hailed as one of the UK’s forgotten jewels, though I expect the person whose job it is to wind it up everyday is very much aware of it. Built in the 13th century, the cathedral has the tallest spire in Britain. At 404 feet high, it is also the tallest masonry structure and was completed a whole century after the cathedral was finished. The cathedral took 36 years to build and used over 70,000 tons of local stone which was back breaking work for some poor individuals. When he wanted to get away from the hustle and bustle of running the country, Sir Edward Heath would retire to Arundells, his sanctuary in Salisbury. Whilst here he would enjoy his grand collection of paintings, with an eclectic mix of originals from the likes of Winston Churchill to LS Lowry and now it is preserved for everyone to enjoy. With over 80 pubs in a relatively small town, there is plenty of choice if you fancy a couple of swift ones. The good news for the discerning ale drinker is that local brewery, Hop Back, own a number of the pubs and a great pint is guaranteed. The Salisbury International Arts Festival is renowned worldwide and brings together some of the biggest names. The city is also the backdrop for Thomas Hardy’s Jude the Obscure. Less obscure is the fact that William Golding, who was a teacher in the city, used his spare time to write Lord of the Flies and thus become the bane of English Literature students for years to come. He was born 382 years ago and was celebrated in a Google doodlerecently and he was born not that far away from Salisbury. Whilst Christopher Wren may forever be linked with redesigning London after the Great Fire, he also had a hand in the architecture of his home city too. He pointed out that the cathedral spire needed straightening (and strengthening), which probably went down a treat with the proud engineers who were involved with maintaining it. With most town centres having a familiar look to them, Salisbury has become a whole lot more independent. All the usual big names can still be found, but it is individuality that is at the fore and boutique shopping should be your expectation. Daily guided coach tours from London visiting Salisbury Cathedral and Medieval City. Remember, remember the 5th of November…. There are plenty of Guy Fawkes night celebrations taking place across Wiltshire in 2014. Many are free and some require tickets to be pre-purchased, so check out where you can catch the fireworks displays in Wiltshire this November and start planning your evening outside. Don’t forget your woollies! Bonfire Night, Fireworks Night, or Guy Fawkes Night? Whatever you call it, the 5th November celebration is one of the best nights out you’ll have this winter! 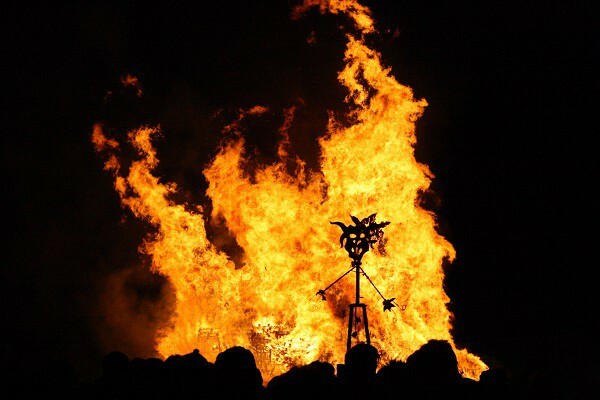 We have poor Guy Fawkes to thank for this uniquely British tradition that guarantees an explosion of fun on a gloomy November night! Guy Fawkes probably didn’t know he would become a legendary figure in English history when he opted to join in with the Gunpowder Plot! In 1605, Fawkes and a group of fellow conspirators planned to blow up King James I and his government. Unhappy with the King’s Protestant faith, the Catholics wanted to return England to its former beliefs. After stashing 36 barrels of gunpowder underneath the Houses of Parliament, the plot was busted after a letter from one of the group to his friend in Parliament was intercepted by the King’s supporters. Guy Fawkes was arrested where he was hiding underneath the Houses of Parliament, tortured until he named his co-conspirators and then executed. Brutal! Of course, that’s not the last that was heard of Guy Fawkes. An annual celebration takes place every year on 5 November to mark the anniversary of the failed Gunpowder Plot! What happens on Bonfire Night? The highlight of 5 November is the fireworks display! Ranging from little to large, numerous fireworks displays take place on or around 5 November. Expect to be dazzled by colourful rockets, sparkling fountains and exploding Roman Candles. Hand-held sparklers are lit and used to create pretty patterns in the darkness. Piping hot food is eaten to warm people up in the cold night air – think fluffy jacket potatoes, hot chocolate, filling stew and hot dogs! An early fireworks and bonfire night with ‘no big bangs’ at Roves Farm, near Swindon on 25 October. Firework Spooktacular, Royal Wootton Bassett Academy, 31 October, 6pm. Fireworks at Longleat at various dates during October until early November. Rotary Spireworks, Salisbury Livestock Market, 1 November. Chippenham Rotary Club Bonfire Night, 1 November. Bulkington Fireworks and Bonfire, 1 November, gates open 6pm. Malmesbury Bonfire Display organised by the Round Table held at St Aldhems Mead, 1 November start time approximately 6.30pm. Warminster Garrison Fireworks Display, Land Warfare Centre, 1 November, 6.30pm. The Lions Fireworks Spectacular and Funfair, Polo Grounds, Marlborough Road, Swindon, 1 November from 5.30pm. Fireworks at Lydiard Park, 1 November from 5.30pm. Highworth Fireworks, Highworth Recreation Centre, 1 November, 6.30pm. Cricklade fireworks display, Cricklade Cricket Field, Abingdon Court Lane, 5 November, 7.30pm. Melksham Fireworks Display, Forest Community Centre, 5 November. Bonfire and Fireworks evening, Heytesbury 7 November. Fireworks and Fun, Bishops Cannings, 7 November from 6pm. Bonfire and Fireworks, Crown Inn, Broad Hinton, 7 November, 5.30pm. 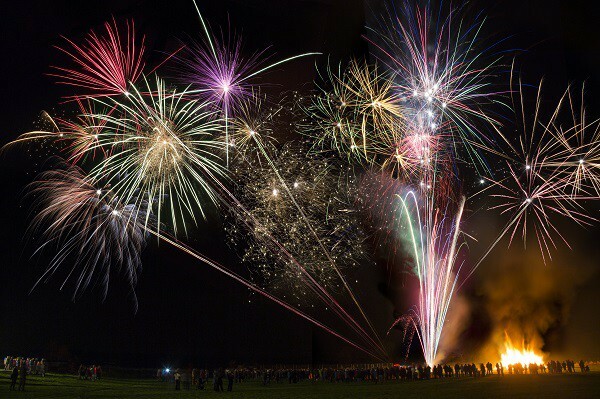 Calne Bonfire and Firework display at Beversbrook Sports & Community Facility, 8 November. Christian Malford Bonfire Night, 8 November. Codford Fireworks evening, 13 November, 6.30pm. White Horse Country Park, Westbury, 13 November. Chitterne, 14 November, from 6pm. More events will be added by Visit Wiltshire as and when we are made aware of them. For further details on local displays please contact one of the tourist information centres. Salisbury announced as one of the top ten cities to visit in the world. SALISBURY has been announced as one of the top cities to visit in the world by the guidebook Lonely Planet in its latest edition – Best in Travel 2015. The highly influential book predicts the world’s hottest trends, destinations and experiences for the year ahead. It highlights the top 10 countries, cities and regions to visit in 2015. Salisbury features seventh on the city list, above Vienna and Toronto, whilst Washington DC takes top spot. 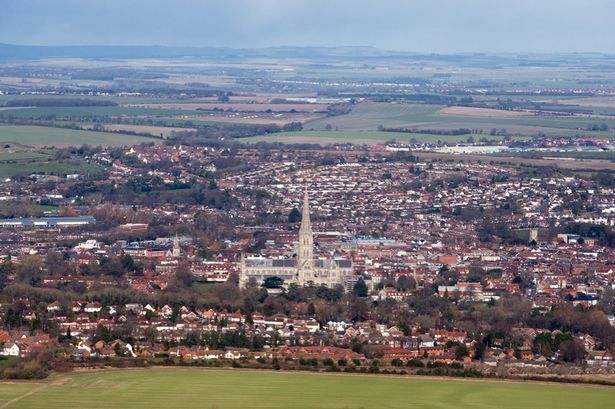 VisitWiltshire’s CEO David Andrews said: “We are delighted Lonely Planet has recognised Salisbury as one of the Top 10 Cities in the World to visit. “We are extremely proud of Salisbury’s history and heritage such as Salisbury Cathedral and Magna Carta, as well as our arts and culture, shopping, food and drink and nightlife. Salisbury is also a great base for visitors to experience popular attractions further afield such as Stonehenge, Avebury and our White Horses. The leader of Salisbury City Council Andrew Roberts welcomed the news and is looking forward to a boost in tourism in 2015. With Salisbury Cathedral set to celebrate the 800th anniversary of the Magna Carta the book calls visitors to see a “quintessentially English city”. Lonely Planet’s Best in Travel 2015 contributor Tom Hall said: “We included Salisbury in this year’s Best in Travel Top 10 Cities list because it deserves to be recognised as one of the UK’s most important destinations for travellers next year. Turner’s Wessex: News of the upcoming exhibition at Salisbury Museum, opening in May 2015. Salisbury Museum is extremely proud to announce a new exhibition of national importance, throwing new light on the earliest work of the young artist J.M.W. Turner in and around Salisbury and its magnificent cathedral. The museum is situated a few meters from Salisbury Cathedral in the historic town of Salisbury, where the 800 year-old Magna Carta will be displayed in 2015. Salisbury Museum is also less than 20 minutes by car from the ancient monument of Stonehenge, and houses a fabulous new gallery where the archaeology of Stonehenge can be explored. Building on recent successes, particularly the 2011 exhibition exploring Constable’s links with the area, Salisbury Museum will showcase Turner’s meteoric rise as he worked for two very rich patrons in the Salisbury region. 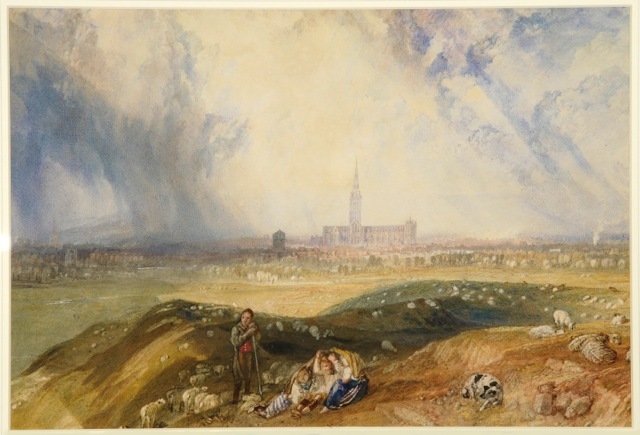 Turner first visited Salisbury in 1795 when he was 20 years old. As his career developed, he returned to paint an area that captivated him as an artist. Set in the vast plains of the Wessex landscape, his depictions of Stonehenge in particular proved to be among his most hauntingly atmospheric works. In the late 1790s, Sir Richard Colt Hoare commissioned Turner, then barely into his twenties, to produce a series of watercolours of Salisbury, the most impressive of which depict the newly restored great cathedral. Hoare was a wealthy gentleman-antiquarian who inherited the nearby Stourhead estate in 1784. His involvement in the first archaeological surveys of the ancient landscapes around Salisbury led him to publish volumes documenting the history of Ancient and Modern Wiltshire. Another local patron, who gave the young Turner invaluable work, was William Beckford, described by Byron as ‘England’s wealthiest son’. Turner turned down a commission to work with Lord Elgin in Greece for a year, in favour of Beckford’s much more lucrative commission to paint the famous folly that Beckford was building at Fonthill. The exhibition has been selected by Turner scholar Ian Warrell to build a picture of a brilliant young artist, driven by self-belief and limitless ambition, grafting his way in the world. The inventive and dizzying watercolours at the heart of the exhibition, reassembled for the first time since 1883, will show how commissions from Wiltshire’s great patrons provided the crucial springboard for the career of one of England’s best-loved artists. Another great reason to visit Salisbury in 2015! Historic Salisbury – home to the iconic Magna Carta – is the only UK city to make it into a top ten “must-see” places in the world. It joins a dream list that includes US capital Washington DC, stylish Milan in Italy and skiing paradise Zermatt, Switzerland. 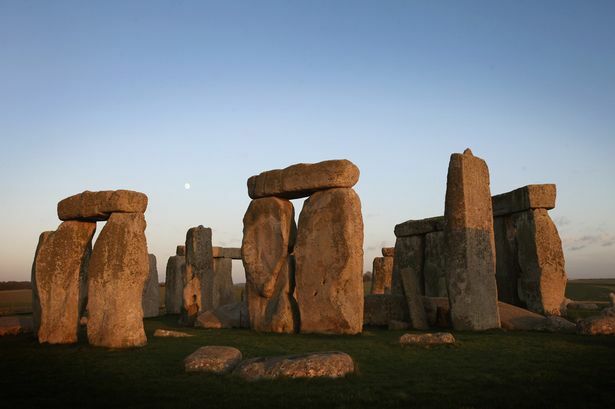 A short hop from awe-inspiring Stonehenge, Salisbury was put on the world map by travel guide Lonely Planet as one of the key destinations for tourists next year. It was rated above sight-seeing in Vienna, Austria, Chennai, India and Toronto, Canada by experts. The Wiltshire backwater with a population of just over 40,000 was tipped as one of the world’s travel hotspots as it gets ready to celebrate 800 years as the nation’s keeper of the original 1215 Magna Carta. Only four copies have survived and historians say the one kept at Salisbury Cathedral is the finest of them all. Signed at Runnymede near Windsor Castle, Berks by King John the life-changing document which limited the once absolute powers of the monarch became the cornerstone of law, civil rights, and democracy and was used as a model for the US Constitution. Lonely Planet’s Best in Travel 2015 guide said: “For too long travellers have considered Salisbury a short stop on the way to Stonehenge. “But 2015 is set to be the year visitors linger in this quintessentially English city as Salisbury uncorks the champagne for the 800th anniversary of its greatest treasure, the Magna Carta. “The lightning rod for the celebrations will be Salisbury Cathedral, the neck-straining medieval masterpiece whose Chapter House holds the Magna Carta. Best in Travel 2015 spokesman Tom Hall added: “We included Salisbury because it deserves to be recognised as one of the UK’s most important destinations for travellers next year. Soldiers at Stonehenge: Salisbury Plain and the journey to the First World War, is the title of a new exhibition due to open at the Stonehenge Visitor Centre on the 5 November 2014. The exhibition will tell the story of the (then) world’s largest military training camp at Stonehenge and the estimated one million men who, between 1914 and 1918, were trained there. 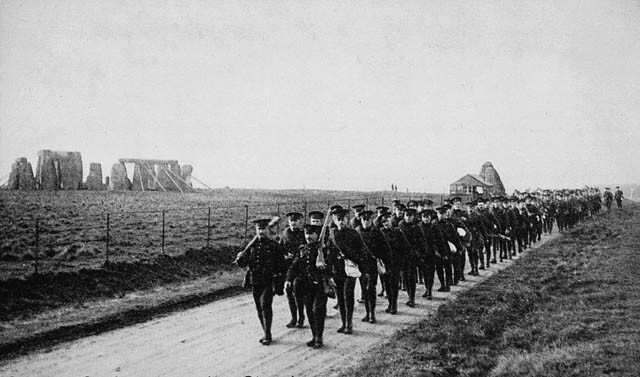 Records show 180,000 men were stationed at any one time on the plain during the First World War. Their personal stories, photographs and original objects will form the basis of the exhibition but evidence of their presence can still be seen across the wider Stonehenge and Salisbury Plain landscape. Magna Carta tourist trail unveiled by Visit Wiltshire. A NEW two-day tourist trail has been announced by VisitWiltshire and Salisbury Cathedral to celebrate the 800th anniversary of the Magna Carta in 2015. The new Salisbury and Wiltshire trail includes Salisbury Cathedral and Magna Carta on day one and the Stonehenge World Heritage Site and the Baron Town of Trowbridge on day two. The Wiltshire trail is one of six special trails, each covering different aspects of the Magna Carta story. Salisbury Cathedral is home to the best preserved of only four remaining copies of the original 1215 Magna Carta which will be re-displayed in an interactive exhibition for 2015. Robert Key, chairman of Salisbury Cathedral’s Magna Carta Celebrations Committee, said: “This trail is great news and will bring many visitors to Wiltshire and to Salisbury Cathedral to see the finest preserved original Magna Carta in its anniversary year. On June 15 it will be exactly 800 years after King John added his seal to Magna Carta, as presented to him by the barons at Runnymede on the Thames near Windsor. 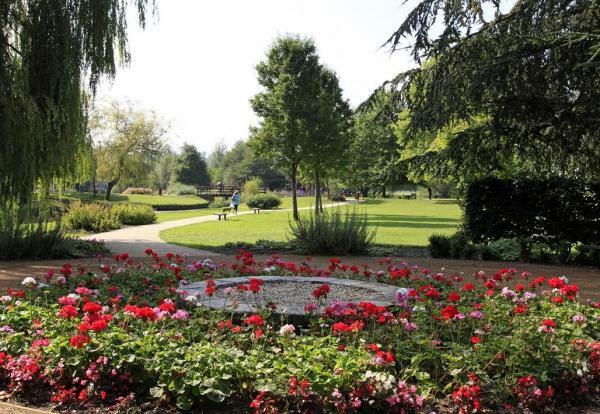 The trails were commissioned by the 800th Commemoration Committee of the Magna Carta Trust to encourage visitors to the Magna Carta towns as history, heritage and anniversary tourism become increasingly popular themes for travellers. 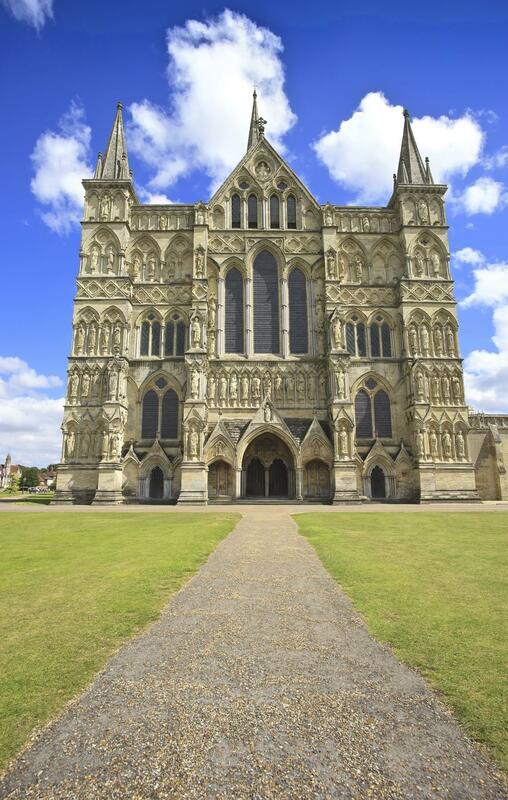 Salisbury Cathedral is extremely proud to be home to the finest of the four surviving original 1215 Magna Carta. It plans to take a leading role in the 2015 celebrations marking the 800th anniversary of the historic and iconic document. For more information about the trails go to www.visitwiltshire.co.uk/magnacarta. The Stonehenge Travel Company are operating guided tours of Stonehenge and Salisbury throughout 2015 featuring the 800th anniversary of the Magna Carta.